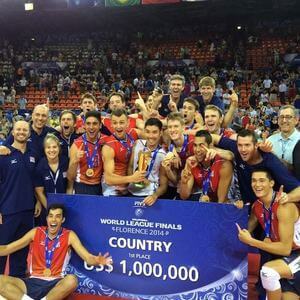 Chris McGown: Welcome to the Volleyball Life Podcast, I’m Chris McGown of Gold Medal Squared and we’re talking today with Dean Barboza. Dean is the director of Tribe Volleyball. They’re a volleyball club out of South Florida, and they been at it for a while. We’ve had a great relationship with Dean and his group for probably a decade now, almost, and they’re doing some great things. We talked to Dean today about the importance of culture and about making that the primary driver in the organization and the difficulties and challenges associated with that. We talked to him about club tryouts, how they run tryouts and then how they’re handling some of the parent communications, just kind of the big issues with Club Volleyball. Dean has some great perspectives and is a doing wonderful job with his group down there. Thanks for joining us and we hope you enjoy the show. Chris McGown: We met Dean, how long ago Dean? I want to say a dozen years ago, maybe more? It’s been a while, huh? Dean Barboza: Yeah, that’s about right. 2008? Chris McGown: Yeah, time has flown, for sure. The club down there has grown significantly in the years that Dean’s been involved so he’s got some great insights and we’re excited to pick his brain. Thanks for coming on. Dean Barboza: Absolutely, my pleasure Chris. Love what you guys do at Gold Medal Squared. A big part of what we did was integrating the GMS philosophy and the whole view on how volleyball should be done and it made a ton of sense to us. It gave us a system that works for our entire club. This was a big change from every other club in South Florida, which was each coach doing its own thing, like everybody had their own little chiefdoms that they protected and coaches couldn’t help each other because they spoke different languages. It just made sense to do it this way and it was really kind of a differentiator for us and other clubs here locally. Chris McGown: Yeah. We’ve enjoyed the relationship that we’ve had with you guys and I think one of the things that I’ve found, I don’t know, most enjoyable about working with you and working with the group is just the people that your club attracts and the kind of coaches that you guys are able to pull in. Dean Barboza: I think because of the philosophy that we started with, which was everybody on the same page; every kid gets to be impacted by every coach. Oftentimes it’s just one coach in one club, or if I have a good coach, I’m fine. Really, the whole club has been able to impact each kid as they come through and we’ve had a lot of coaches come and look for jobs here at Tribe, but they have to be our kind of guy or our kind of girl. This sounds weird, because sometimes people come in with these brilliant resumes and I’m sure they’re great coaches in their own right. However, for our club and our culture they have to be people that are willing to come in and almost intern for a year. No matter if they coached in college or whatever their background was, just so they could understand the vibe here and what we do is a little bit different. That was the challenge early on. There wasn’t a lot of growth early on because we just couldn’t bring anybody in to add to our coaching staff. The first few years we turned away a ton of kids and a ton of families because we just didn’t have the coaches to give them a quality experience. We felt it was really important to maintain our identity and our culture through our coaching staff. We had GMS come in and do stuff for us, we’ve sent people out to the coach’s clinics, which are unbelievable and frankly, one of the big parts is the fact that guys like Chris and Mike Wall and Jason Watson and all these coaches and people that are involved in what you do are so willing to take calls if we have questions. Everyone has been so helpful, it’s really helped us cultivate a coaching staff that is in my opinion, obviously, I’m biased, but in my opinion second to none in the state. We just have a ton of unbelievable coaches and it’s because of us taking our time and bringing in the right people. We also have a support system of coaching giants that are willing to pour into folks like us. That’s what’s helped us be different and why we have great people working. It’s been intentional. Chris McGown: Let me get back to a couple of things. You guys have grown, where did you start and where are you now over the years? Chris McGown: That’s still quite a few. Dean Barboza: Yes, that’s a good way to start. My wife and I coached club off and on back then but I was also involved in several businesses before that. Being involved in the coaching world at that time we just were like, there’s something missing as far as vision, what’s the process, what are our goals, are there core values for this club, what are we trying to do? It just felt like it was a flea market, just a bunch of random things thrown together. When we started, we started with a club called Club Florida and we transitioned and actually bought them out. We took over an existing club and said, “This is how we’re going to do it,” with the Tribe methodology, GMS, and we just took the people that really wanted to be involved. Instead of starting with one or two young folks, we started with 10 teams, which was obviously a great way to start a club. We went from 10 back in 2009, 2010 and now I think we’re 38 teams with three locations this year. Chris McGown: We talked about it, going from ten to 40, it isn’t a linear progression. The volume of administration etc, all of that stuff grows exponentially with an increase like that. One of the things we like to talk to directors like yourself about is what do you consider the biggest challenges that you face as a club director? I guess I want to get into how are you addressing those challenges? It sounds like from the onset, finding quality staff has been a limiting factor and maybe a big challenge. What else? Dean Barboza: Yes. Communication is always a challenge. With your staff, with the parents, when you’ve got that many people involved in a program, you just have to be better at regular communication. We have coaches that live an hour north and an hour south, so internal communication, external communication, those things are challenges. I think we’ve got a pretty effective website that manages that pretty well. But still things fall through the cracks and we’re always looking to get better, we’re always looking to improve. We think it’s important and we have several coach’s meetings and most of what we talk about in the coach’s meetings aside from the volleyball stuff is how do we communicate. It’s not just information coming down the chain, it’s what do you need from me. What do you need from your administration, what do you need from director, what do you need from the scheduling staff to get you where you need to be? We’re not trying to keep you from doing your job. We have weekly calls, and this is something that we started instituting. On a Sunday before the practice week we get on a brief little conference call. If there’s four teams on three courts and coaches have to work together, there’ll be a brief plan and we talk about what we’re going to do. Chris McGown: When you say “we get on a call,” how many coaches are on that call at a time, typically? That’s really been a lifesaver for us because the bigger you get, the more disconnected you feel at some point. Early on, when we were at 10, 15, 20 teams in one location, it’s just easier to manage those relationships and feel more connected. The more people you get, the more disconnected you are and having these calls has brought us back together a little bit and everyone feels like they’re being attended to. One of the challenges is, again, communication, which our coaches are making sure that they’re on the same page and feeling they’re being supported. Chris McGown: When they talk to you about, “Hey, these are the things that I need to be good.” What do you think are the most common themes typically? What do they tell you they need? Dean Barboza: Frankly, the group of people that we have, they’re looking for feedback. We tell them it’s important that, “You guys are always trying to get better.” Sometimes they’re looking for… if there’s a kid that’s behind in the skill, they’ll ask for a third coach or somebody that really good in our gym at teaching transition footwork for middles. Maybe this kid’s a former libero and she’s not real comfortable with her middles and they’ll ask for another coach to come in and help that kid for that practice or at least the next couple of practices. There’s really a lot of give and take with helping their kids and teams grow and that’s what they’re asking for. Beyond that, if it’s not technical stuff on their team, it’s really, help with parents. “This kid’s parents are driving me crazy and I need you guys to be there to talk to them.” Everybody who’s involved in sports know that that’s a big problem. Those two areas, technical help and then we are managing situations. Chris McGown: That brings me to maybe that issue. That also seems to be a common theme with a lot of club directors and coaches that I talk to. It’s just the parent relationship side of things and it can be problematic. It certainly is a challenge because you’re dealing with personalities; you’re dealing with people who as much as they would like to be impartial, as a parent of two daughters, I realize that I view my children not with absolute impartiality. I’ve got their best interest in making sure they’re happy and progressing and doing well, and my interest may not always be the community interest. Is that consistent with what you’re experiencing? Chris McGown: Do you guys have anything – sorry to interrupt – do you guys have anything formal in place? Is the actual team coach the first line of defense and then it’s passed on to you guys? Or is this just… do you guys go to that level of formality with things, or have you tried to front-load as much of the expectation as you can in parent meetings early on? “Hey, this is the way things are going to operate, and if you have issues, here’s how we deal with them,” that kind of stuff? What do you do to alleviate some of the issues or at least handle this enormously complex dynamic? Volleyball’s such an intimate setting. Anybody who makes a big gesture in a game is seen and felt by everyone. We ask them to mind their body language; we ask them to control it as best we can. We have a big parent meeting upfront, then we absolutely have a grievance process that the parents all agree to and then we have protocol for handling that stuff. In addition, as we schedule our team’s practices, there are two times where we have coach-player-parent meetings and one of the administration is sitting in on that meeting. It’s at that meeting where parents and coaches can talk about where their kid is, what her role is, what she needs to do to get better, where we are, they can voice their concerns and we can either address them or come to agree that we’re not going to come to an agreement and then we’ll ask them to go somewhere else. Yeah, all of the things that you mention that we do, we absolutely do and it’s still not perfect. It feels weird to talk radios aside, where everyone’s complaining about the coaching or people just feel like it’s okay to complain about other people’s kids. That kid wasn’t passing and the setter was terrible and the outside hitter couldn’t score, it’s just that dialogue we really fight against. We ask parents to actually be proactively involved in the culture of their team by communicating in a way that’s, “hey, listen, let’s stay positive about the team.” If a parent in their team group is talking bad about somebody, we actually try to give permission in our meetings, by saying, “hey, listen, here’s what’s appropriate when this happens.” If somebody’s being negative about a kid or a coach, what should happen next is the parent that’s in the area should say hey, let’s stay positive about the team. We’re trying to maintain a positive culture. It is a challenge but we put all that stuff in place and ultimately if parents don’t make changes sometimes we ask them to go somewhere else. Even if they’re really good players, it’s just about the vibe and the environment and the culture and we think the culture’s really important. We give them a couple of chances, but yeah, we’re not afraid to ask people to go if they have to go, because we think it’s that important. Chris McGown: Sure, sometimes it’s not a good fit. You desperately wish that everybody could have a big picture about this. “Hey look, here’s what you really, ultimately want and all of this destructive stuff that’s going on doesn’t get you what you really ultimately want,” and getting them to that point. That can be tough, yeah. Dean Barboza: It’s the worst. That’s the big challenge with club sports, especially volleyball down in South Florida, the parent challenge of, “we want this.” Frankly, we’ve had some really, really good kids leave, unbelievably physically gifted kids leave because their parents just weren’t a fit for the program. Last year was a good example. We had three or four really good kids, and even their coach leave and we ended up having our most positive season ever with the team in every age group qualifying for the Junior National Championships, but with a less talented group. The culture took a big step forward, the environment was better, the kids were more positive, people had better experience. Because somebody that’s negative all the time, it just becomes toxic. In any environment positivity matters. We read reads books and one of them is “How Full is Your Bucket” which is a really good read by the way. We try to keep our interactions three to one positive to negative with kids, and as a coach that’s tough because you’re giving feedback all the time. We try to be intentional about our interactions with people, each other, and the kids. I think it matters. Chris McGown: I don’t know that I can overstate the magic of what you just described, but the discipline that it takes to actually tell people, “you might be the best athlete on the court, but you’re not a cultural fit. We hope that you find success somewhere else.” That level of discipline is unbelievably difficult to get to because there’s so much pressure on winning. That, as the definition of success, even as a coach myself, I was willing to put up with a lot of what I thought was behavior that I despised in my culture but I was willing to deal with it because of the production that this athlete would give us in terms of wins and losses. For you guys to be able to have the kind of long view on things, of culture, matters most. Everything else is subordinate. Being able to have that vision and then execute that is remarkable. I have to imagine that it’s taken some time to get there and you’ve made some missteps along the way, but for organizations to be able to do that, then make those hard decisions at the time based on those beliefs, it’s pretty magical. Dean Barboza: It’s so hard, but it’s not worth it in the long term and because as a club, we win a lot. That’s not the goal. Your vision and your culture and what your long-term goals are as a club or a person dictate what you do day to day and the decisions that you make. It’s not that it becomes easy, but you’ve decided what’s important. We come into the gym and we get better every day, and if we win, we win. That’s the bottom line. We’re going to play our first teams open and we’re going to play some of our second teams at the open level and we’re not going to win all the time. But we’re going to be pressed, we’re going to be challenged, we’re going to pay great opponents that are going to help us get better and if we can keep that long view like you talked about…like you said, it doesn’t make things easier. If a kid’s crying or pouting or a little moody and she’s touching 11, maybe she gets a little longer rope than the pouty kid that’s not as athletic. I’m not saying that we wouldn’t make those decisions from time to time, but ultimately, if the parent or the kid is toxic and are not looking for the same things, then they go. It hasn’t been easy but it’s been clear that it’s the right thing to do, and we have a bunch of people on the same page as far as that goes, so it’s worked out. But like you said, it is a challenge. But it’s worth it in the long run because then you can maintain your integrity when you talk about things that are important. It’s important for everybody, not just for kids that aren’t super talented. In the long run, I think your word being consistent and having some integrity matters, that’s why we’re doing what we’re doing. Chris McGown: I love it… it’s so easy to say that in the moment and in the parent meetings to talk about that. “Hey, look, this is the culture and if you or your athlete isn’t meeting these standards we’re going to ask you to find somewhere that might be a better fit,” and we talk about that. Then in the moment, when this kid’s scoring 20 points in a match for you, to have to pull the trigger on that like you talk about, it’s indescribably difficult. I want to ask you, the book you referenced, “How Full is Your Bucket” the author, Tom Rath, does that sound right? Chris McGown: We’re recommending that to coaches as you’re listening to this, “How Full is Your Bucket” the author is Tom Rath. You can find it on Amazon, it’s $17 in hardcover right now. Dean Barboza: Yes, excellent. A really good one. Chris McGown: The other thing that I wanted to discuss is the tryout process. What are tryouts for you guys? What do you do, what’s the plan? How do you run those? Dean Barboza: We’re looking for the answer on that still. I can tell you what we do but I think it varies by region, because in South Florida there’s so many clubs so close together, they’ll leave your tryout that Saturday at 10:00 and then go to two other tryouts that very same day. Chris McGown: Yeah, they’re trying out for four teams in a day. Dean Barboza: Yeah, it’s tricky. What do you do, do you pull them in right then and there and say, “hey, do you want to be part of our club?” and “If you walk out, you don’t get…” It is tricky. What we do frankly depends on where clubs are. At the beginning, when we first started, we didn’t do it like this, but this is what we do now. For all our number one teams, 13 and up, 13 to 18, you’ll find out that you’ve been offered a position before you walk out the door and we’d like you to accept that day, that very minute before you walk out. Because if they don’t want to be on our number one team, then obviously, we’re not their number one choice. We want people that want to be here. That’s how we do that. With second and third teams, we’ll actually make physical phone calls to each of those kids. We actually don’t have the coaches call. For lack of a better term, we have closers call. We have people that know the kids, understand our culture because parents will ask, “is my kid a starter?” “Is she going to play six rotations?” “Is she strictly going to play outside hitter?” Especially in the older ages, they’re going to try to negotiate that stuff before committing and we won’t let anybody commit them to anything. You’re going to be one of three or four outside hitters, we think you’re one of the top two right now, but there is no playing time guaranteed. We’d love to have you, we’re going to help you get better of you want to be part of the program. Chris McGown: Sure, lots of moving pieces here, yeah. Dean Barboza: Yeah. Lots of evaluation, we try to keep them in the gym as much as we can. We also offer some pre-tryout evaluations, ahead of tryouts, at no cost. The more you see kids in the gym, the better. We’ve missed kids in two-hour tryout really bad, made terrible decisions because we just don’t see them enough and it’s frankly tough to honestly do a great evaluation in just two hours, in my opinion. Dean Barboza: We try to give them as many opportunities to get in the gym as possible. That’s kind of what we do, we’ve had everybody in the gym and we’ve said, “number one team, go to that corner, number two team, go to that corner, number three team, go over there,” and I’ve never seen more girls crying in one place in my life. When they look over and see those kids in the number one team and they’re not on it, it just becomes a really emotional thing. We’ve really messed up in the past and I think the way we do it now is the best way for us because of our building and our space. On the second day of evaluations, as they’re playing six on six and we’re moving kids from the first, second or third court, we’re moving them around, as they’re playing, we’ll have a coach pull out a kid that we want in the first team to have that kid go get their parents and they’ll walk into the coach’s office and then we’ll talk to them about what we want, that we’d like them to play, while everybody’s still playing. It’s not that people don’t know what’s going on, but it’s not just out in front of everybody, in everybody’s face. Dean Barboza: We pull them out on day two, once we know what we want on our first team. If we get through the first team we’ll start doing it with the second team as well. But that’s really the best way for us to do it. We find that to be successful. I don’t know if that’s right, other people in other places do it differently and they’re pretty successful at it. But that’s what we do. Chris McGown: When you say recruiting, that means, “we’re trying to push athletes into collegiate programs from Tribe. College coaches are recruiting the kids that are playing for our club, yeah. Dean Barboza: The challenge is at some point along the line, they’re going to look at kids, maybe they’re on the club’s second team or non-starters on their first team that are getting college scholarships and it’s because they’re following your instructions. You need to be proactive. You need to know where they might fit. We put a lot of time, effort, and energy into educating players and parents on what they need to do, and then holding those people – not holding them accountable – but encouraging then along the way for their benefit. You can show them what to do, but continuing follow-up and having them do that in the past, like when we first started, we just sent out some letters, the template email, made some recommendations, and since then we’ve purchased an online system for our elite teams. That’s part of their tuition and we hold them accountable for it to populate the pages, to reach out to the 50 schools that we say, “hey, listen, it’s mandatory that you reach out to these schools.” That’s been a challenge, but for us, it’s been a priority. Maybe other clubs that’s not a big deal, but for us, that’s something that’s been a learning process on what we expect. Recently we’ve actually been spending a lot of time sending our coaches to conference tournaments. We’ll send out emails ahead of time to whomever, like the Ohio Valley Conference last year, we went to the Big South in the Southern Conference Tournaments and we send out emails to the coaches introducing ourselves, letting us know that we’re going to be there, that we’re excited about seeing the level of talent that’s in their gym, so that when we recommend players to them, we at least have an idea of what’s going on there. It’s been super well received. Now, when they get an email from a Tribe kid, they know that we’ve instructed kids that are in the ballpark athletically to reach out to them. It just puts a gold star by those kids. But like I said, it’s been a process and honestly a cultural thing where this is just something that’s expected because initially, it wasn’t that way. But now everyone’s talking about it even as ninth graders, getting involved in the process right away. Not that we like them involved at ninth grade but that’s just the nature of the beast right now. For you guys to actually be able to say, “this kid is going to be able to compete in your conference or at your level,” and to have that level of trust and to be able to accurately say, “yeah, this is a kid that’s going to be able to succeed,” and then have that be the reality, that’s a huge, huge deal to have that trust and have that understanding when you’re communicating with the coaches in your program. Dean Barboza: Yeah, relationships matter, just like anything else. We go there, and again, we’re trying to find good fits for our kids. We’re not trying to sell somebody something that doesn’t make sense. We don’t want them to go there and fail, right? We want them to go there and have a great experience. We’ve had some kids that could definitely play in bigger conferences but maybe they’ve ended up in the Patriot League because they’re a great academic kid. But maybe physically, they’re good enough to play in the ACC or SCC or even maybe bigger, but it just wasn’t a fit for them. For us it’s not necessarily about what cool college logo can we put on the front of our website. It’s just about making sure the kids are having good experiences and that comes with getting to know some of these coaches too, because frankly, some kids are going to be able to handle an old-school screamer, all the yelling and it’s just not real positive, and they’re other kids that are never going to make it there. They’re never going to make it. Maybe we kind of objectively give them some advice on what would work best and, like I said, it’s just part of the process on trying to help kids get better and find a good spot. Chris McGown: Yeah. All right, I love having this conversation and I couldn’t be more happy for the successes you guys are having, and the way you’re doing it. I’m really, really stoked for you and stoked for the kids that are in your program. I’m looking forward to more great things from Tribe. Dean Barboza: Thanks, Chris. I always enjoy talking to you guys, it’s been a big part of our development and I’m not just saying. Like I said, the stuff that you guys do with Gold Medal Squared really ramps up our entire coaching staff and it’s really just a cool environment. Thanks for your contribution. Chris McGown: All right, sounds good. Dean Barboza: It’s been great and thanks again, anytime. Chris McGown: Yeah, looking forward to talking to you soon. See you.